Text: [Saturday, 10 December 1825] I visited in the evening a theatre, named Teatro del Fondo; there was an opera and a ballet; the performance was good, the house commodious, and the price of admission moderate; but great was the smell of garlic. At a small theatre this was to be expected; for at the great theatre of S. Carlo, I had complained, that my place was too remote, and was brought much nearer the stage amongst a higher order of beings into a sort of fops-alley; but the fops smelt so strong of garlic, that it was difficult to live in the atmosphere of this more refined society. I had frequent examples of what I had heard before, that when the Italians are pleased with a performance, they hiss, to command silence and attention; the opera, and especially the ballet, were received this evening with much hissing, that is, they gave great satisfaction. At the end of the ballet, the audience called for the ballet-master; the curtain was drawn up immediately, and a melancholy man in a suit of black was led on the stage between Cupid and Psyche, in the midst of the smoke and flames with which the piece had concluded; to express, as I was told by a lady, who, perceiving that I was a stranger, kindly took much pains to make me understand the whole allegory, the glowing ardours of love; he was hailed with loud applauses, and retired bowing, with an air of modest confusion, that would have been becoming even to Psyche herself. Comments: Thomas Jefferson Hogg (1792-1862) was an English lawyer and writer, a close friend of the poet Percy Bysshe Shelley. He went on a continental tour of Europe over 1825-26 and his published diaries record many visits to the theatre in different countries. The Teatro del Fondo in Naples was founded in 1779; it is now known as the Teatro Mercadante. The S. Carlo theatre is the Teatro di San Carlo, also in Naples. Text: Sunday, Oct. 22nd, Calais. — On arriving at this place yesterday we found that, owing to a heavy gale of wind, no vessel would leave the harbour; but that, if the weather improved, a steam-boat would sail this morning. The weather, however, wore so unpropitious an appearance, that we agreed to wait another day; so the Dasher steam-boat sailed this morning without us. We spent the day in sauntering about the dirty streets of Calais, and in the evening went to the theatre, whence I am but just returned. The theatre is larger than the generality of country ones, and was well filled. The audience entered with great animation into the performances, and applauded or hissed with equal vehemence, as the dramatis personae excited their admiration or disgust. The performance consisted of three pieces; the second was founded on the landing and defeat of the Pretender in Scotland, and Lady Athol and Flora M’Donald are the heroines. The Pretender was represented at one moment as a hero, and at the next as the most dastardly coward, kneeling in agonies at the feet of Lady Athol, entreating her to conceal and protect him. The alternate heroism and fits of weeping of this hero, seemed to please the audience (who were nearly all French) extremely; and that speech, when in relating his defeat, he says, that if he had had but twenty Frenchmen he would have conquered all his foes, called forth loud plaudits. Some of the performers were unfortunately very imperfect in their parts, and in vain did the prompter roar out their speeches with almost stentorian lungs: they came to a perfect stand-still, and left us to behold six or seven people on the stage, all looking at each other with dismay and conscious shame, without the power of saying a word; the audience hissing and groaning until the curtain fell. It is but justice to say, that in the two other performances, which were humorous, they acquitted themselves extremely well. Comments: Marguerite Gardiner, Countess of Blessington (17891-1849) was an Irish novelist and literary hostess. She wrote several accounts of her travels and an account of her acquaintance with Lord Byron. Text: Last night and the preceding we spent at the Scala. The opera was stupid, and Madame Bellocchi, who is the present prima donna, appeared to me harsh and ungraceful, when compared to Fodor. The new ballet, however, amply indemnified us for the disappointment. Our Italian friends condoled with us on being a few days too late to see La Vestale, which had been performed for sixty nights, and is one of Vigano’s masterpieces. I thought the Didone Abbandonata left us nothing to regret. The immense size of the stage, the splendid scenery, the classical propriety and magnificence of the dresses, the fine music, and the exquisite acting, (for there is very little dancing,) all conspired to render it enchanting. 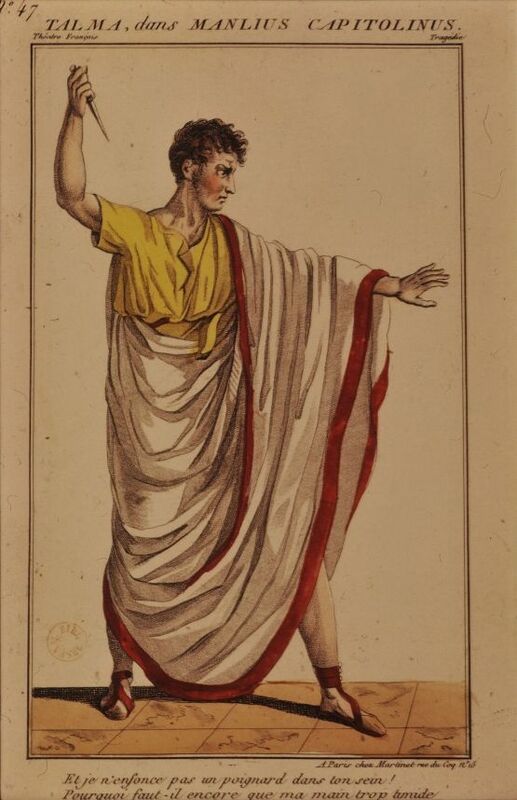 The celebrated cavern scene, in the fourth book of Virgil, is rather too closely copied in a most inimitable pas de deux; so closely, indeed, that I was considerably alarmed pour les bienséances; but little Ascanius, who is asleep in a corner, (Heaven knows how he came there,) wakes at the critical moment, and the impending catastrophe is averted. Such a scene, however beautiful, would not, I think, be endured on the English stage. I observed that when it began, the curtains in front of the boxes were withdrawn, the whole audience, who seemed to be expecting it, was hushed; the deepest silence, the most delighted attention prevailed during its performance; and the moment it was over, a third of the spectators departed. I am told this is always the case; and that in almost every ballet d’action, the public are gratified by a scene, or scenes, of a similar tendency. The second time I saw the Didone, my attention, in spite of the fascination of the scene, was attracted towards a box near us, which was occupied by a noble English family just arrived at Milan. In the front of the box sat a beautiful girl, apparently not fifteen, with laughing lips and dimpled cheeks, the very personification of blooming, innocent, English loveliness. I watched her (I could not help it, when my interest was once awakened,) through the whole scene. I marked her increased agitation: I saw her cheeks flush, her eyes glisten, her bosom flutter, as if with sighs I could not overhear, till at length overpowered with emotion, she turned away her head, and covered her eyes with her hand. Mothers!—English mothers! who bring your daughters abroad to finish their education—do ye well to expose them to scenes like these, and force the young bud of early feeling in such a precious hot-bed as this? Can a finer finger on the piano,—a finer taste in painting, or any possible improvement in foreign arts, and foreign graces, compensate for one taint on that moral purity which has ever been (and may it ever be!) the boast, the charm of Englishwomen? But what have I to do with all this ?—I came here to be amused and to forget:—not to moralize, or to criticize. Vigano, who is lately dead, composed the Didone Abbandonata, as well as La Vestale, Oteilo, Nina, and others. All his ballets are celebrated for their classical beauty and interest. This man, though but a dancing-master, must have had the soul of a painter, a musician, and a poet in one. He must have been a perfect master of design, grouping, contrast, picturesque, and scenic effect. He must have had the most exquisite feeling for musical expression, to adapt it so admirably to his purposes; and those gestures and movements with which he has so gracefully combined it, and which address themselves but too powerfully to the senses and the imagination— what are they, but the very “poetry of motion,” la poésie mise en action, rendering words a superfluous and feeble medium in comparison? I saw at the mint yesterday the medal struck in honor of Vigano, bearing his head on one side, and on the other, Prometheus chained; to commemorate his famous ballet of that name. One of these medals, struck in gold, was presented to him in the name of the government:—a singular distinction for a dancing-master;—but Vigano was a dancing-master of genius: and this is the land where genius in every shape is deified. The Theatre of the Scala, notwithstanding the vastness of my expectations, did not disappoint me. I heard it criticized as being dark and gloomy; for only the stage is illuminated: but when 1 remember how often I have left our English theatres with dazzled eyes and aching head,—distracted by the multiplicity of objects and faces, and “blasted with excess of light,”—I feel reconciled to this peculiarity; more especially as it heightens beyond measure the splendor of the stage effect. Comments: Anna Brownell Jameson (1794-1860) was an Anglo-Irish art historian. In the early 1820s, when Anna Murphy, she travelled to Italy and her diary of the visit was published anonymously, to great interest, as A Lady’s Diary. Salvatore Viganò was an Italian choreographer and composer, whose final work Didone (he died in 1821) was completed by his brother Giulio. Text: 31 January : In the evening I visited the Scala, a most spacious and magnificent theatre; well lighted and commodious; the silk curtains in front of the boxes are handsome and useful; they may be drawn close, and the tired spectator may go to sleep, as safely as if he were in bed, without shocking public decency, or impeaching his good taste; and by means of this humane and elegant contrivance, he may be supposed to be enraptured all the time by the performance, and thrown into an ecstacy [sic] by the music: an amateur may even gain credit for attending a whole season, without ever leaving his fire-side, by merely giving the box-keeper a shilling to pin the curtains together once for all. If the curtains were all of the same colour, perhaps the appearance would be better; in one tier of boxes they are yellow, in the other blue alternately. The opera was Mahomet; the ballet was splendid; afterwards was a masked ball, but I did not stay to witness it. Comments: Thomas Jefferson Hogg (1792-1862) was an English lawyer and writer, a close friend of the poet Percy Bysshe Shelley. He went on a continental tour of Europe over 1825-26 and his published diaries record many visits to the theatre in different countries. La Scala, or Teatro alla Scala opera house, was inaugurated in 1778. The opera he saw was presumably Rossini‘s two -act work Maometto II (1820). Text: Fashionable drive on a hill outside of the walls — in a broad valley bordered by trees — from house fine view in every direction — see the town below you, bristles with steeples — river below — distant hills. In the evening saw “King Lear” performed at the theatre, translated by Iffland — the part of Lear very well performed, the translation apparently very good and exact. Part of Edgar very well done, as likewise that of Kent — the tender parts of the character of Lear particularly well done and some of the mad passages — a very crowded audience — people much affected and gave great applause — tho’ at the battle between Edgar and Edmund there were tokens of disapprobation. Comments: Washington Irving (1783-1859) was an American writer and diplomat, best known for his short stories ‘Rip Van Winkle’ and ‘The Legend of Sleepy Hollow’. He lived in Europe 1815-1832 and travelled across the continent, partly in pursuit of folk tale material. August Wilhelm Iffland (1759-1814) was a German actor and playwright. Text: But lo and behold! I found myself famous. F[rankenstein] had prodigious success as a drama & was about to be repeated for the 23rd night at the English opera house. The play bill amused me extremely, for in the list of dramatis personæ came, ——— [i.e., the Creature] by Mr. T. Cooke: this nameless mode of naming the un[n]ameable is rather good. On Friday Aug. 29th Jane[,] My father[,] William & I went to the theatre to see it. 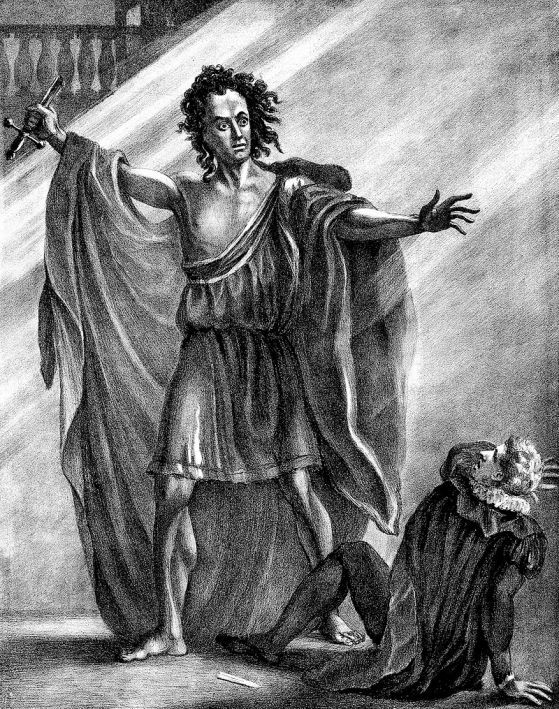 Wallack looked very well as F[rankenstein]—he is at the beginning full of hope & expectation—at the end of the 1st Act. the stage represents a room with a staircase leading to F[rankenstein]’s workshop—he goes to it and you see his light at a small window, through which a frightened servant peeps, who runs off in terror when F[rankenstein] exclaims “It lives!”—Presently F[rankenstein] himself rushes in horror & trepidation from the room and while still expressing his agony & terror ——— throws down the door of the laboratory, leaps the staircase & presents his unearthly & monstrous person on the stage. The story is not well managed—but Cooke played ———’s part extremely well—his seeking as it were for support—his trying to grasp at the sounds he heard—all indeed he does was well imagined & executed. I was much amused, & it appeared to excite a breathless eagerness in the audience. It was a third piece, a scanty pit filled at half-price, and all stayed till it was over. They continue to play it even now. Comments: Mary Shelley (1797-1851) was an English novelist, essayist and travel writer, and wife of the poet Percy Shelley. Presumption; or, The Fate of Frankenstein, by Richard Brinsley Peake, was the first dramatisation of her novel Frankenstein. It opened at the English Opera House (later the Lyceum Theatre) in London on 28 July 1823, and Shelley saw it with her father William Godwin on 29 August 1823. Victor Frankenstein was played by James William Wallack, and the Creature by Thomas Potter Cooke. Because only the patent theatres at Drury Lane and Covent Garden could perform ‘legitimate’ drama at this time, other theatres were obliged to put on spectacles, musical entertainments, pantomimes and the like, which affected the nature of the production of Presumption, which featured songs, dumbshow sequences and an avalanche for the finale. Text: The name of KEMBLE was exercised with magic-like effect at this Theatre last night. Plunged into difficulties, almost overwhelming, Mr. CHARLES KEMBLE exerted his best strength and influence: his wife returned to the stage, his daughter made her debut, and a brilliant and overflowing audience was the consequence. This was precisely as every friend of the Drama must have wished. the name of a family which has for half a century contributed so largely, and with so much distinction and honour, to the most rational and intellectual of our amusements, ought not to be used in vain, or to be heard without cheering and liberal encouragement. On this occasion it met with enthusiastic support, and those who anticipated a display of hereditary genius were happily confirmed in their kindly hopes. That the difficulties of the Theatre have been most alarming there can be no question; but however desperate they may have been in their character, or however distressing to the Managers, we can hardly help rejoicing in their occurrence, since thy have been the immediate cause of giving to the stage another KEMBLE, and one too who promises to enhance rather than to depreciate the unrivalled reputation of her family. With the debut of Miss FANNY KEMBLE too, we are inclined to date the disappearance of the distresses of the Theatre, and therefore we shall make no further mention of them, but content ourselves with expressing a hope that the young Lady’s introduction to the stage will only be one of many acts of good judgment on the part of the Manager. a sensibility and a depth of feeling which gave an unquestionable indication of the possession of fine powers. Her exit too was marked by a melancholy but soul-searching passion, which admirably prepared for the succeeding scene. It was in this scene that her conception and her capabilities were at once developed. The garden scene is in itself a thing of beauties, and many of the passages received ample justice at her hands. the soliloquies appeared to flow from a heart wrapped up in a new and all-absorbing passion, and which, during the absence of the object it idolised, existed but in thinking of it. Nor did she deliver the passages addressed to Romeo with less felicity. They were full of fervour, and the passion was unrestrained, but it was pure, and natural from its purity. “Blistered be thy tongue” &c.
JULIET: O. Nurse, how shall this be prevented? You married with the Count. JULIET. Speak’st thou from they heart? JULIET. Well, thou has comforted me marvellous much. The effect of these passages was splendid in the extreme. the dignity of the wife was suddenly called into action, and it was commanding as it was pure and lovely in its nature. The Theatre rang with applauses. The arduous soliloquy in the next scene she finished by one of the most perfect and beautiful attitudes we have seen for a long time. The last scene was unfortunately the least successful of the whole; she was badly dressed and badly painted, and the Romeo on the night was not of the slightest assistance to her. But Miss KEMBLE had been the admiration of the audience long before the close of the play; and looking at her performance, we should most decidedly give it the preference to every debut made since that of Miss O’NEILL. To say that it was destitute of fault would be as absurd as to say that it not did display a conception of the highest order, and much execution of a similar character. Having said thus much, we shall be content to await her next performance without more remark, when me may find time and opportunity to return to the subject. This announcement was received with great approbation, and the entertainments concluded with The Miller and his Men. Comments: The review is of a production of William Shakespeare‘s Romeo and Juliet, at Covent Garden, London, 5 October 1829. Fanny Kemble (1809-1893) was the daughter of the actor Charles Kemble and niece of his sister, the actress Sarah Siddons. The financial fortunes of the ailing Covent Garden (in which Charles Kemble was a shareholder) were greatly improved following the great success of Fanny Kemble in Romeo and Juliet, and the production was a further success touring North America. The remaining lead performers named in this review were Theresa Kemble (Mrs Charles Kemble), William Abbott, and Mrs Davenport (Fanny Vining), while other actors mentioned are Eliza O’Neill, Robert Elliston and William Lewis. The Miller and his Men was a two-act romantic melodrama by Isaac Pocock. We went to theatre in the evening – Comédie Française the place, Rosemunde the piece. It is the composition of a young man with a promising name – Émile de Bonnechose; the story that of Fair Rosamond. There were some good situations, and the actors in the French taste seemed to me admirable, particularly Mademoiselle Bourgoin. It would be absurd to attempt to criticise what I only half understood; but the piece was well received, and produced a very strong effect. Two or three ladies were carried out in hysterics; one next to our box was frightfully ill. A Monsieur à belles moustaches – the husband, I trust, though it is likely they were en partie fine – was extremely and affectionately assiduous. She was well worthy of the trouble, being very pretty indeed; the face beautiful, even amidst the involuntary convulsions. The afterpiece was Femme Juge et Partie, with which I was less amused than I had expected, because I found I understood the language less than I did ten or eleven years since. Well, well, I am past the age of mending. Comments: Walter Scott (1771-1832) was a Scottish novelist and poet, whose historical novels such as Ivanhoe, Rob Roy and The Heart of Midlothian were immensely popular and influential. Émile de Bonnechose (1801–1875) was a French poet and historian. The actress was Marie-Thérèse Bourgoin (1781-1833). The comedy Femme Juge et Partie (1821) was written by Onésime Leroy. We returned to a hasty dinner, and then hurried away to see honest Dan Terry’s house, called the Adelphi Theatre, where we saw the Pilot, from the American novel of that name. It is extremely popular, the dramatist having seized on the whole story, and turned the odious and ridiculous parts, assigned by the original author to the British, against the Yankees themselves. There is a quiet effrontery in this that is of a rare and peculiar character. The Americans were so much displeased, that they attempted a row – which rendered the piece doubly attractive to the seamen at Wapping, who came up and crowded the house night after night, to support the honour of the British flag. After all, one must deprecate whatever keeps up ill-will betwixt America and the mother country; and we in particular should avoid awakening painful recollections. Our high situation enables us to contemn petty insults and to make advances towards cordiality. I was, however, glad to see honest Dan’s theatre as full seemingly as it could hold. The heat was dreadful, and Anne was so very unwell that she was obliged to be carried into Terry’s house, – a curious dwelling, no larger than a squirrel’s cage, which he has contrived to squeeze out of the vacant spaces of the theatre, and which is accessible by a most complicated combination of staircases and small passages. Here we had rare good porter and oysters after the play, and found Anne much better. She had attempted too much; indeed I myself was much fatigued. Comments: Walter Scott (1771-1832) was a Scottish novelist and poet, whose historical novels such as Ivanhoe, Rob Roy and The Heart of Midlothian were immensely popular and influential. The Pilot was a burlesque of James Fenimore Cooper‘s American 1824 novel of the same name, by Edward Fitzball, an English playwright who specialised in nautical dramas. Fenimore Cooper’s The Pilot is based on the adventure of John Paul Jones and his naval raids on the British and Irish coasts during the American revolution. The play ran for 200 performances at the Adelphi Theatre, London, co-owned by Scott’s friend the actor Daniel Terry, who had dramatised a number of Scott’s novels. Anne was Scott’s daughter.